Ever since Chelle & Dave met, they have always shared a love of music & sound. So as their path led them to Yoga, it was a natural & organic progression for them to collaborate & blend ancient Yogic practices with the Sacred Sound Current in their own unique way. 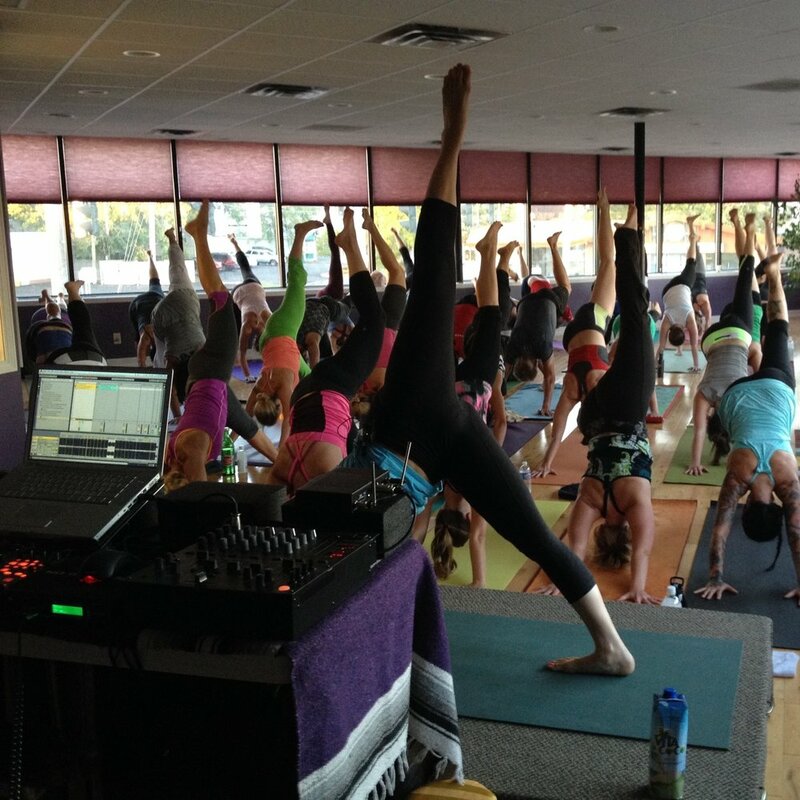 They began in 2006 at Dharma Yoga Syracuse where Dave (DJ Depth) partnered with Chelle & other instructors for "Hot House Yoga" & "Trance Dance" events. During these popular events Depth, provided the electronic sounds & live remixing while Chelle led the class through a practice of asana, shavasana, pranayama, & meditation. In the Denver area, Chelle & Dave continue to hold these same "active" Sound workshops at One Yoga Center under the new name "Shakti Soundwave." This new name better defines the focus & direction of their collaboration & expresses their goal of unification & the balance the opposites. They feel music is a sacred bridge to the soul & that vibration is one of the easiest & most effective ways to purify the body & mind. Both Chelle & Dave love to share this process with students & watch as they are transformed. Most recently, Chelle & Dave have added a new "passive" Sound workshop component to Shakti Soundwave that combines the healing power of Gongs & Singing Alchemy Bowls, taking practitioners on a deep journey through sound & relaxation.